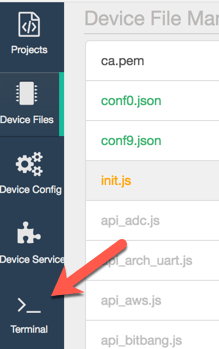 and will cover how to change the ESP8266 Code for the sensor to be able to communicate with Google Cloud IoT Core. 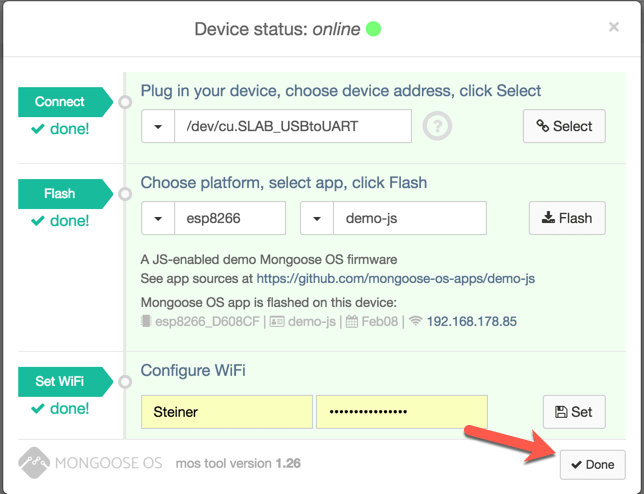 after clicking Select, the Device Logs part of the Mongoose OS web-UI should start showing the log-entries created by the ESP. 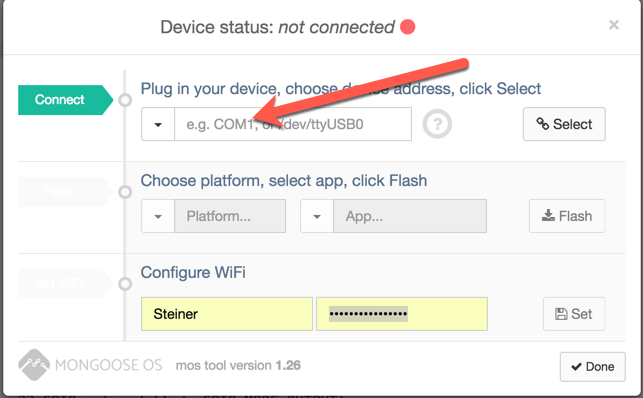 As we don’t want to flash the firmware again and don’t need to re-define the WiFi, you can complete this step by clicking Done. Before we change the source of the ESPs firmware, we need to cover a little bit of theoretical background – sorry! 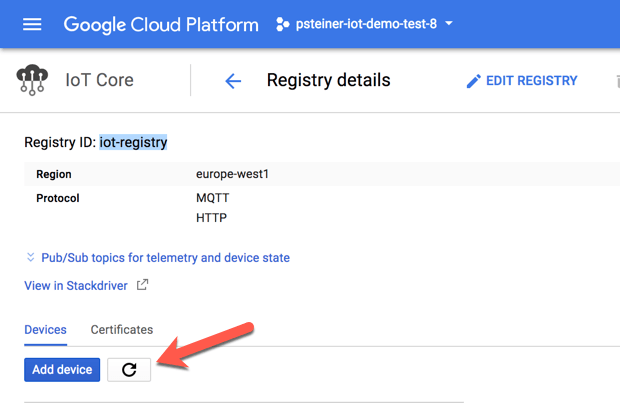 When we created the Device Registry in Google Cloud IoT Core, we had to define a MQTT Topic. The following screenshot is a re-cap of the relevant step covered in the previous blog. Update the code on the ESP by uploading the changed file. Looking at the source for the ESP, it probably became obvious that there is not a single line connecting the ESP to any MQTT Broker, or even defining the MQTT Broker to communicate with. This is all done under the cover of the flashed Mongoose OS firmware. Luckily Mongoose OS provides a simple and easy way to achieve both of these tasks in one step. 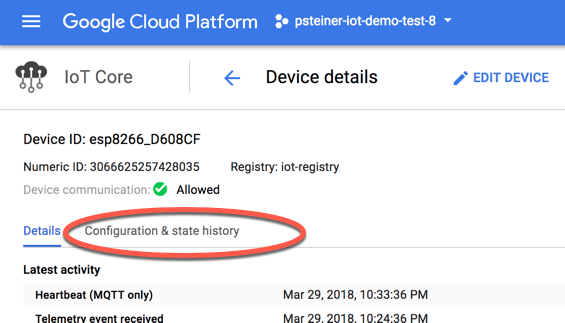 The code of the ESP only delivers Message to Google Cloud IoT Core when the Flash-Button is pressed, so please do so! 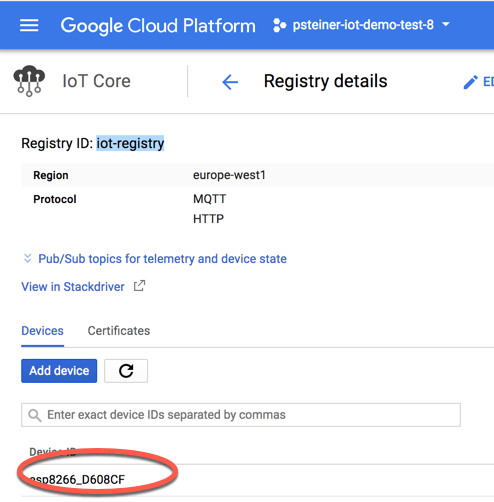 To verify if the Message was really received in Google Cloud IoT Core, you will have to select the Device in the Google Cloud IoT Core Registry view. If you rather want to see the message content in a readable form, you just need to click on the message and select “Text” as a format. can you help with a lead to finding the smalles SoC available to-date. I have about the size of a table sppon handle to deply WiFi, BT, and controller functions for a smart-watch style applicati on aboard. I was tinking about buying https://www.simblee.com/.. howver there is no.. and I do mean no customer service ro support.